Only the Brave, a film about the 19 Granite Mountain Hotshot Firefighters who died in a massive wildfire outside of Prescott on June 30, 2013, opened in theaters on Oct. 20. It is Hollywood’s attempt – in all its grandeur and flaws of dramatic license – to forever remember the brave young men who were killed. But “The 19,” as they’re known to family, friends and fellow firefighters, were well remembered long before their story was put on the big screen. Arizona and the local communities impacted by the fire created the Granite Mountain Hotshots Memorial State Park, which includes a seven-mile interactive trail that traces a portion of the path of the crew on that fateful day. It culminates with a dramatic overlook of the gully where the men were overtaken by the fast-moving wildfire. Plaques mark the exact spots where they died. A few of the families have started nonprofits including the Travis Turbyfill Wellness Fund, the Wildland Guardian Institute, the Eric Marsh Foundation, and the Wade Parker Memorial Educational Scholarship. But it’s fair to say that the Kevin Woyjeck Explorers for Life Association has done the most. Just 21 years old, Kevin Woyjeck was one of the youngest members of the Granite Mountain crew, but came from a long line of firefighters and was following in their footsteps. 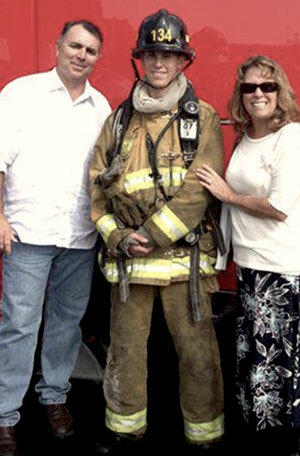 His father, Joe Woyjeck, a recently retired captain on the Los Angeles County Fire Department, began his career as a wildland firefighter and followed his son’s movements that day via cellphone GPS. 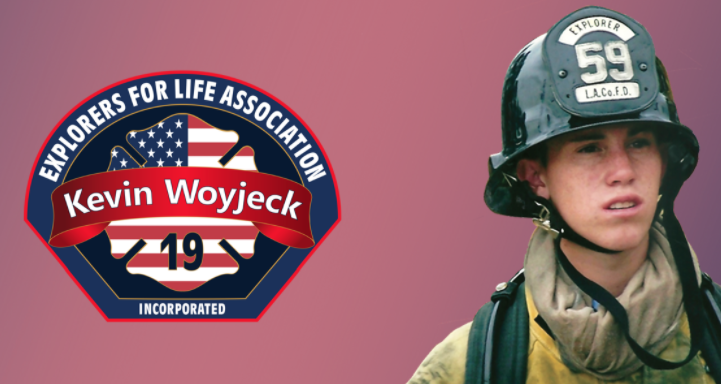 Not long after Kevin was buried in his native Seal Beach, Calif., the Woyjecks set up the foundation, which raises money to buy equipment and fund scholarships for cash-strapped Fire Explorer posts, the firefighting equivalent of the local Boy Scout troop. In 2016, it gave away more than $100,000 in much-needed equipment, such as boots, jackets and gloves. The association also sponsors explorer academies, where the kids get their initial, hands-on training. If the Woyjecks have excelled at this, it’s partly because Joe Woyjeck is the vice president of the Los Angeles County Fire Museum, a 501(c)(3) nonprofit that’s supported by donations. But the foundation has been very much a family affair. The Woyjeck’s other son, Bobby, currently training to be a paramedic, helps out on the annual fishing derby, a fundraiser that remembers his brother and his favorite pastime. Bobby’s wife, Amanda, takes care of social media, and Maddie, the Woyjecks’ youngest child, handles public relations. Mark Yost is a former firefighter/paramedic in Highwood, Illinois, a regular contributor to Stay Thirsty Magazine, the Wall Street Journal and the author of five books in the Rick Crane Noir series.